Etsy is one of my favourite spots to shop online. I can spend hours looking through all the different shops and viewing all the handmade products. Their prices are usually pretty great too. Gypsy Jens is one of those Etsy shops that has become a favourite on my list. Â She has a fantastic line of handcrafted soaps, lip balms a.k.a. Hippie Stixx, glass bead bracelets and chokers. The store is still fairly new and the owner, Jen, is starting to focus more on her line of natural soaps. 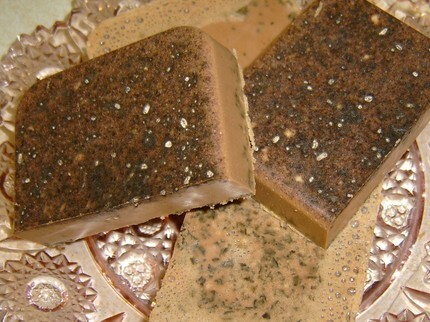 The selection of handcrafted soaps is diverse and unique. She has some soaps in there that I have never heard of before. The Coffee Cinnamon soap intrigues me. I bet that’s a fabulous combination. The Oatmeal Vanilla Cocoa Butter Soap also sounds divine. Can you tell that I like the food scented soaps? I received a bar of the Honey & Shea Butter Soap to try out. Â Its scented with peppermint, lavender and rosewood which are great for relaxing, destressing and calming. Basically this is the soap you want to use at the end of a long day to just chill out. Even the colour is nice with its beautiful golden hue. The scent is very inviting and invigorating and I love how it leaves a soft smell on my skin after my bath. It gives a nice rich lather and left my skin feeling so soft and smooth. I liked to wash my legs with the soap after I shaved them to keep to soothe any razor burn that I might get. Â Even just sitting in the bath water after washing and closing my eyes, I can smell the soap. It’s like having my very own aromatherapy bath! It did make me feel more relaxed and less anxious after using it. Baths are a fantastic way to wash the stress of the day away and using a good soap like Gypsy Jens makes the experience much more pleasant! 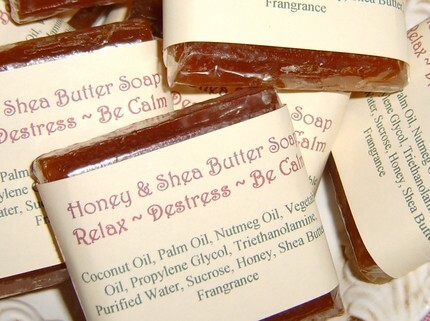 The Honey & Shea Butter Soap is sold as a 10 pack of 1 oz. mini bar soaps for $10. Like all of Gypsy Jen’s products, its a great buy! You can use them as gifts, take them with you when traveling or just enjoy them for yourself! You really can’t beat that price and quality! 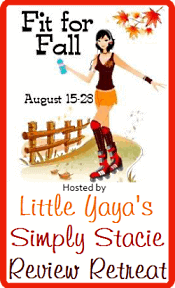 Check out Gypsy Jens other handcrafted soaps and other products and find one that’s right for you and your family. Goji Cocoa Mint! These soaps look good enough to eat! LOL! i like her water and air bracelet. 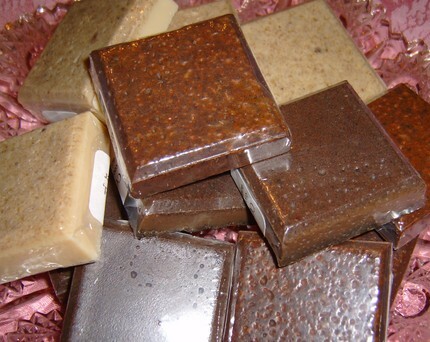 I like the Creamy Vitamin E Hazelnut Latte 1 oz Mini Bar Soaps. I’d love to try the DISCO DIVA iced pineapple tangerine Hippie Stixx Lip Balm. I like the GOJI COCOA MINT 1 oz. Mini Bar Soap.